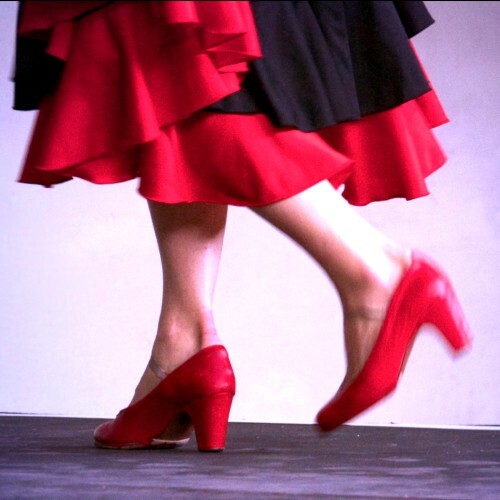 You can book Flamenco Con Gusto for performances and for ‘taster’ classes. The company offers great flexibility, so there’s bound to be an option that suits the occasion and your budget! How many artists are booked (from one dancer-singer + one guitarist through to four performers). The duration of the show (from a short 20mins performance through to a whole evening’s entertainment). What travel time / travel costs are involved (most of the Flamenco Con Gusto company members are based in London and the south-east of England). In performance, principal dancer Danielle acts as ‘M.C.’ for the evening, offering a brief introduction to each number. If desired, a short informal ‘taster’ class’ can be run, for those audience members who wish to have a go at clapping along, dancing a few flamenco steps and shouting ¡Olé! Prices range from £100 to £250 depending on location, duration of event and on whether live guitar accompaniment is included.